Idaho state law mandates that all family law settlements be made in accordance with state Child Support Guidelines to establish the total amount of child support required for each child per month should their parents divorce or obtain a legal separation. Idaho child support guidelines do vary considerably depending on circumstances, making it essential that your case be reviewed by a Idaho family law& child support attorney so that the best interests of the children are protected. We encourage you to contact an experienced Child Support Attorney to learn how best to legally protect your children and yourself when it’s time to put in place a child support attorney agreement with the lawyer for the other parent of your child. Idaho requires that any child less than 19 years of age, non-active duty military, and single receive monetary child support from their parents. This law applies regardless if parents have never married or are currently separated or legally divorced. 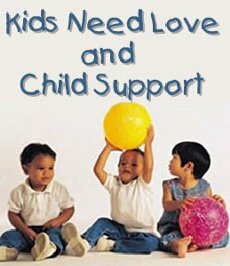 Idaho child support is paid for a child until they; reach the age of 19 years old, become married, is legally emancipated from parents or enlists in the military. However in cases where the child is disabled and would have difficulties providing for themselves; the court is able to mandate that the parents of that child must provide child support for the duration of that child’s life. Child support orders may be modified once there is evidence to support the claim that the financial capabilities of a parent allows for modifications to be made to the amount that a parent pays in child support; this can be an increase or decrease based on the financial situation of the parent. Any circumstance that causes a 10% or more shift in the amount a parent is able to pay for child support; both negative and positive, is grounds for the child support order to be modified to coincide with the changes. A skilled Family Law Attorney will utilize experience gained through years of advocating for parents as child support attorney so that in any event where a parent is able to contribute more to the support of a child, all the necessary requests are submitted to force that parent to pay the amount in child support they are obligated to pay under the law. Failing to pay child support is not tolerated under Idaho laws and there are legal options available that may be pursued in order to ensure that payments owed for child support are received in full. Your legal expert from our office will work with the judicial system to ensure that all child support payments for the amount specified in the child support order are made in the time frame stipulated. Our law office is also well versed in Idaho child support proceedings that involve service members and will through utilization of the vast knowledge gained through years of representing parents in Idaho who wish to ensure that their child’s right are protected and all child support owed are paid, and also parents who believe that amount requested for child support is irrational based on earnings or the child’s cost of living.